Our M&A Outlook 2018 presents the results and key findings of a survey we conducted with over 400 business leaders from U.S.-based middle market businesses. In planning for the year ahead, Sellers seek to capitalize on high valuations before market conditions shift, while Buyers continue to look externally in both the U.S. and abroad for impactful growth opportunities. Our CFO Outlook 2018 highlights the results of a survey we conducted with 300 middle market CFOs from across the country and a range of industries. We asked them about the evolving economic and regulatory environments, their pursuit of continuous improvement and growth, and their perspectives on emerging technology trends. 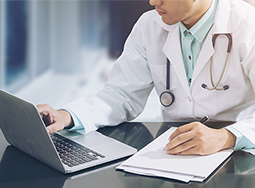 Outcomes-based care is becoming the industry standard and patients are becoming increasingly involved in their healthcare and treatment plans. These changes are fundamentally impacting the way pharmaceutical companies do business. Pharma companies who want to improve and protect their revenue and market share must be willing to adapt and use technological resources to do so. Download our newest Perspective to gain insight into how pharma companies can embrace technologies to profit from the evolving industry landscape. Today, patients are demanding convenience and value when seeking healthcare services, and they are driving healthcare professionals to meet these changing preferences. In the past, patients would see their healthcare professional in-office, but today’s healthcare consumer has options. Now they can receive care through telehealth, in the retail clinic down the street, or through self-monitoring with apps and devices. This new frontier of healthcare delivery will make it necessary for healthcare practices to adapt and respond. Download our Perspective to gain insight into what healthcare professionals can do to embrace and profit from this growing trend.